It is the experience of the Palm Beach County Divorce attorneys at Whittel & Melton, LLC that the divorce and family law processes can be lengthy and complicated-- mainly because there are many issues that can arise. Child Support and Spousal Support (or “Alimony”) is an emotionally charged area that can stall the resolution of a divorce case. Our Palm Beach County Child and Spousal Support attorneys are here to help navigate Florida child support laws to make the process straightforward and simple for our clients. How can I get my ex-spouse to move out after the divorce? If you have a court order stating you have exclusive residency, you can call the police and have him removed. An experienced divorce enforcement attorney can go to court and file for a violation and ask the court to issue and order to restrict the ex-spouse from the home. My ex-spouse is not paying alimony as agreed, what can I do? You need to contact a reputable Divorce Enforcement attorney to discuss filing for a violation of the court order. There is a chance that judge will give your ex-spouse another chance to comply, but usually after that, the Court will likely start imposing penalties. Can my ex-spouse decide to stop making payments to me? The short answer is, not without a court order changing their obligations. If there is no time limit or other restriction in the order, he is still required to pay it. An experienced Divorce Enforcement Attorney can file a petition for a violation so the court can compel your ex-spouse to pay. Is an agreement made after the divorce enforceable? Generally, the terms of the divorce judgment are what the parties are entitled to. Agreements made afterward are not enforceable. However, if there have been a change in circumstances that render the divorce agreement impossible, parties can petition the court to amend the divorce decree. It is advisable to employ the services of an experienced divorce enforcement attorney. What can I do if my spouse didn't remove my name from the mortgage as ordered by the Court? In this situation, you need an experienced Divorce Enforcement Attorney to advise you and to evaluate the big picture of your case. If necessary, your attorney can go to court and address violations to your order and obtain judgments against your spouse. Can I have my ex-spouse removed from the marital home? If the court issued a judgment against your ex-spouse, or, if a settlement has been ratified by the court, then your ex may be in contempt of court for failing to meet his financial obligations under that settlement. A divorce enforcement attorney can use the legal system to threaten to take the ex-spouse back into court if he does not comply with the court order. How can I enforce Palm Beach County child support orders? Generally speaking, Florida child support laws are based on the “Income Share Mode” which is a means used to calculate the amount of child support due by one parent to another. This system takes the number of children in the household and the net income of each parent into account before determining the amount of monthly support. There are a number of factors Courts consider when setting child support including: Salary or wages of each spouse; Bonuses, and commissions; Business income from self-employment, partnership; workers’ compensation, social security, disability benefits; investment interest and dividends. What If I want to change the child support order? Florida Family Law Statutes also contain special provisions in the child support sections for children who spend a substantial amount of overnights with the non-residential parent. In addition, under the statute, Courts have the authority to increase or decrease child support if the child has extraordinary medical needs, if one of the parents' income varies with the season, or if the child accrues income independently. These laws can be complicated and should be discussed with an experienced Hernando County family lawyer. If you have questions about your child support case, the Hernando County child support attorneys at Whittel & Melton, LLC have answers. We help residents of Boca Raton, Delray Beach, West Palm Beach and all the communities throughout Palm Beach County navigate the process and ensure that children’s best interests are protected. 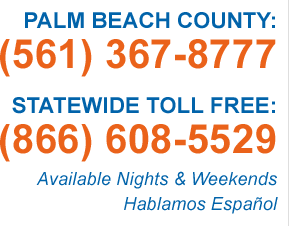 Please contact us at (561) 367-8777 or online to schedule a time to discuss your case.